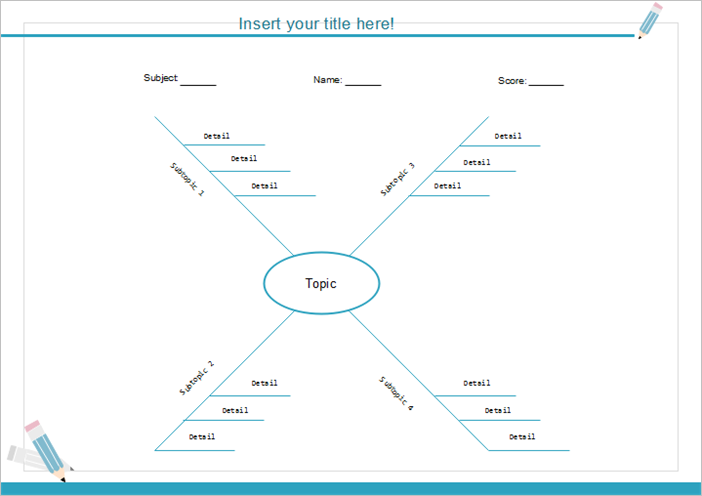 Spider map is an effective visualizing tool used in learning and teaching. 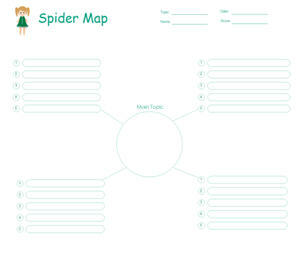 This page offers free spider map graphic organizer templates. Click on the picture to download the templates for free. What Is a Spider Map? 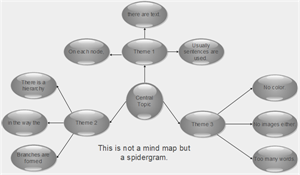 A spider map graphic organizer is an organizational tool used to display knowledge in a visual framework which looks like a cobweb. It allows students to organize information from readings and make connections in a meaningful structure. Actually, it looks similar to a mind map, settling the central topic in the center and developing subtopics and further ideas in surrounding branches. Monotonous color other than anundant themes in mind maps. Straight lines other than curved lines, bubbles or boxes. Sentences other than one or two words entries. Spider maps are important pedagogic aids for teachers and students, and are not as complicated as mind maps to design. If you find them useful, you can download Edraw graphic organizer software to make spider maps. Comparing with hand-drawn spider maps, digital ones are easier to store, edit and view. 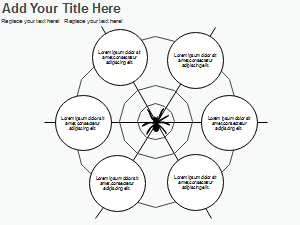 The teacher can make spider maps as worksheets to test students' mastery of the content. The following are spider map templates that you can download and use for free. The eddx files are vector-based and all the texts, fonts colors, and symbols are editable. Click on the picture to download the templates for free. 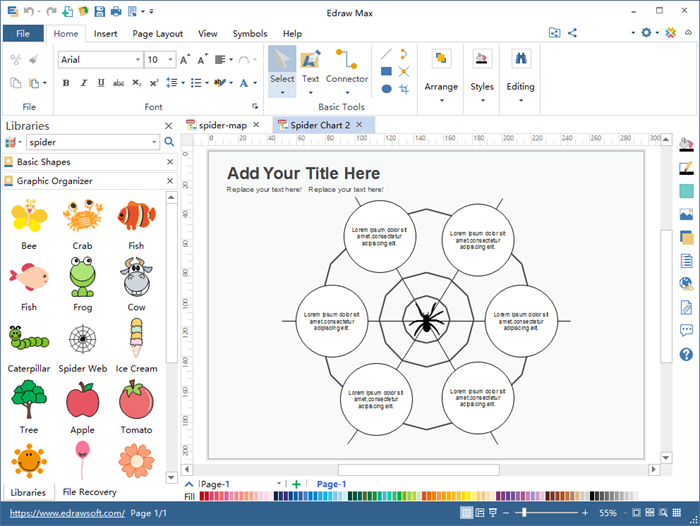 You can edit and customize them for your own use with Edraw graphic organizer software.